Originally from Albuquerque, New Mexico, Olivia Gatwood is a poet, performer, and educator. A Brave New Voices, Women of the World, and National Poetry Slam finalist, her poetry has been featured on HBO, Huffington Post, MTV, VH1, and BBC. Her latest book, New American Best Friend, reflects her experiences growing up in both New Mexico and Trinidad, navigating girlhood, relationships, class, and sexuality. Olivia is also a Title IX Compliant educator in sexual assault prevention and recovery and has performed internationally at over 200 schools and universities. Ever since discovering Olivia’s poetry on Youtube at 16, her words have become a constant in my life. They’ve made their way into sleepovers, my irrational horror at the doctor’s office, and early-morning bus rides. They’ve helped me in times of uncertainty, encouraging me to take pride in the things I was once ashamed of. Olivia was kind enough to speak with me about her work and experience as a poet, Title IX educator, and her upcoming book, set to release with The Dial Press/Random House in 2019. Camille DiBenedetto is a staff writer for The Smart Set and an English major at Drexel University. In her free time, you can find her watching romantic comedies, listening to slam poetry, or rereading The Summer I Turned Pretty for the 27th time. Netflix’s newest series, Stranger Things, premiered July 15, and it has swiftly become one the most talked about shows of the summer. Each major media outlet has published their own think pieces, quizzes like “Which Stranger Things Character Are You?” have circulated, and Winona Ryder (who stars in the series) has made her comeback as a magazine cover girl. There aren’t spoilers in this essay. Or shouldn’t be, unless you consider the lack of information an incredible spoiler (and I hate these type of concessions, because plot is secondary to the creation of character, formation of relationship between audience and narrative, and the feelings depicted and attached to the narrative). 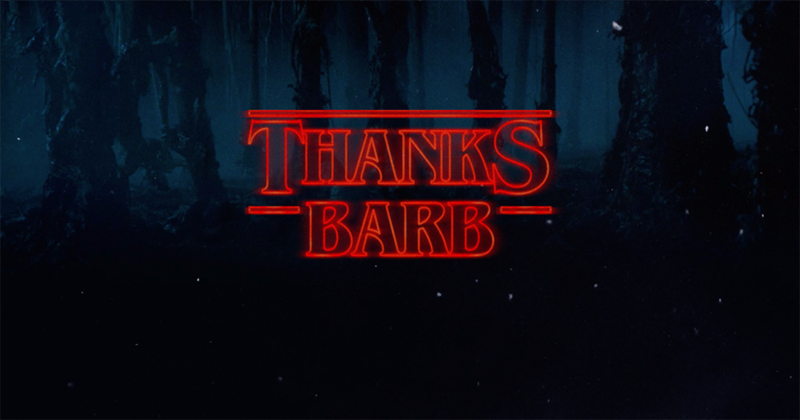 The only spoiler I’m going to provide happens by episode three, when teenager Barb goes missing, pulled by a monster into a pool and through to the “other side.” Despite being a minor character, I became infatuated with Barb. A new D.C. museum celebrates the cloudy pursuit of law and order. The National Museum of Crime and Punishment opened in Washington, D.C., two weeks ago with McGruff the Crime Dog greeting guests outside the entrance. 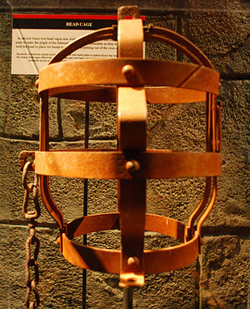 The museum (which was financed by an Orlando lawyer and produced in conjunction with the Fox TV show America’s Most Wanted) strives to bring interactivity and entertainment to a museum about crime. I visited on a soft opening day, and then again the next day for the grand opening, the major difference between these days being that on grand opening day, McGruff high-fived me at the door, John Walsh of America’s Most Wanted was rumored to be in the building, and entrance was free for all law enforcement officers.